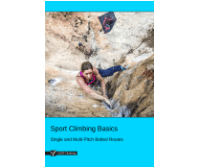 'Sport Anchors - Lowering' is part of the e-book - Sport Climbing Basics. 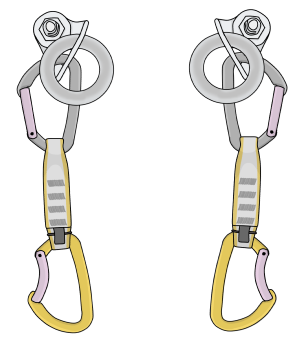 Lowering is the simplest method of descent. Clip a quickdraw into each bolt. Make sure the rope-end carabiners have their gates facing outwards. If there are chains or rings on the bolts, clipping your quickdraws underneath puts them in a better orientation. Clip the rope through the quickdraws from the back so the rope is coming out towards you. Ask your belayer to take you tight. You are now ready to lower. Lower down, leaving the lead quickdraws in place. 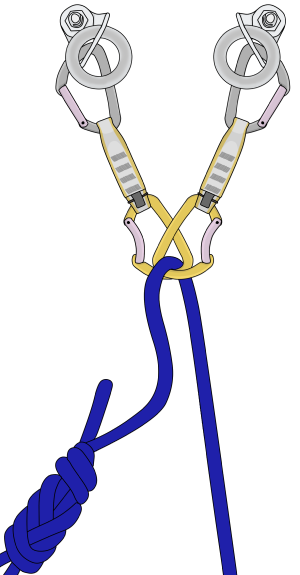 Be careful - if you swing around to unclip quickdraws on your descent, the rope could snap through the carabiners at the anchor. 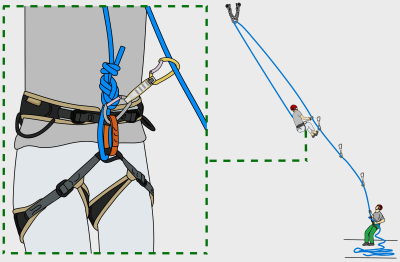 If you must remove the lead quickdraws, consider setting up the anchor as you would for a top rope. Only lower down like this if someone else will lead next. It is dangerous to top rope from two quickdraws. Never connect quickdraws together like this. 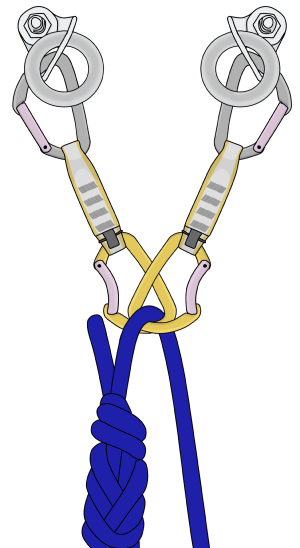 If you need to extend the anchor for lowering or any other reason, make sure to use a sling or cordelette instead, as described here.